Present your favorite images with traditional, sophisticated mats and classic wooden frames. 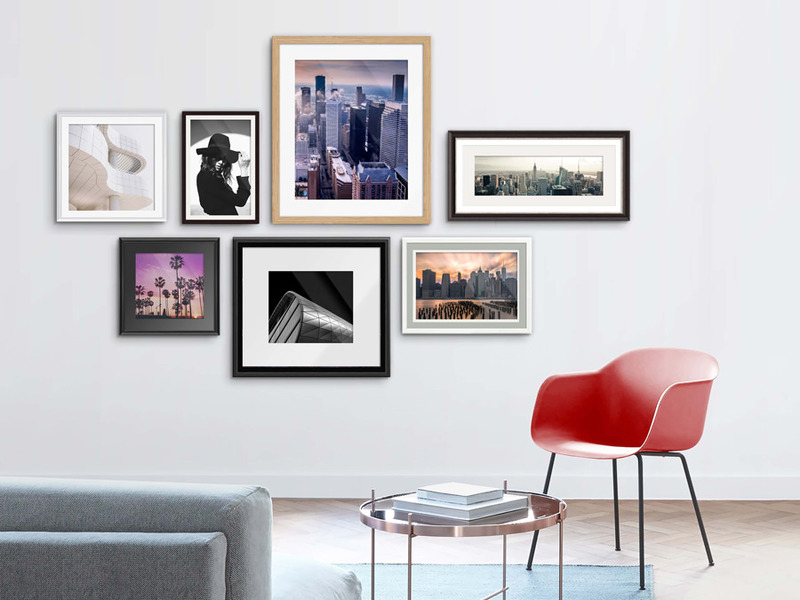 Use the different materials, colors, and formats that are available to design a harmonious presentation that complements the colors of your photo print – all with just a few clicks in the WhiteWall configurator. Strengthen your picture’s impact by selecting a fitting frame and color. When selecting your frame, think about the interplay between the image and frame. Portraits, landscapes, and organic textures can be accented with rounder, more natural frames, whereas technical or architectural images become more alluring in frames with straight edges. Select the frame that best fits your style and photos, or make a bold statement through deliberate contrast. The choice is yours! Our passe-partouts are made from the finest, non-acidic, fade-resistant museum card stock – guaranteed to be free of wooden fibers. These mats are produced with a beveled edge and then set flush against the images. A total of 7 attractive passe-partout colors are available for you to choose from. All the photo papers we use at WhiteWall won us over with their bright, rich colors; sharp, detailed reproduction; and longevity. While they are different, they do all live up to the highest standards. All you have to do is decide which of these premium products is right for your image. We offer four varieties of frame glass to ensure that your photos stand out the way you want. 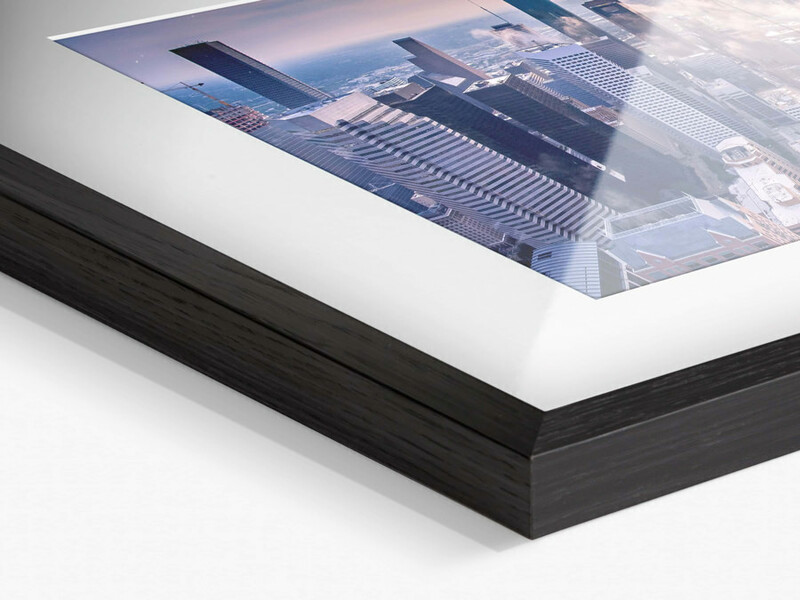 While glossy float glass is a classic for gallery-like presentations, the matte version eliminates distracting glare. Acrylic glass, on the other hand, is lighter and shatter-proof. The non-reflective Mirogard museum glass by Schott is arguably the highest-quality frame glass for art presentations. Our Solid Wood Frame With Passe-Partout is especially suited to portraits, small landscapes, cityscapes, and black-and-white photographs. 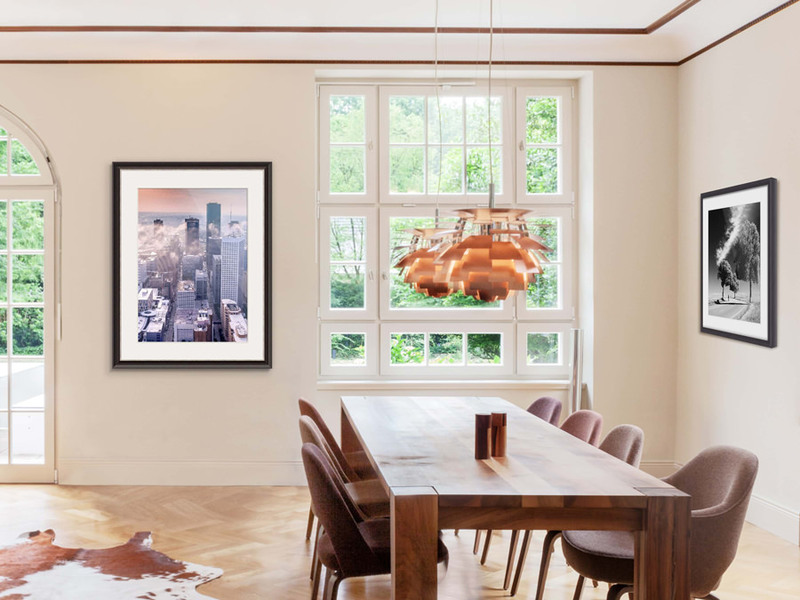 This medium is breathtaking when arranged to create a “gallery wall,” a collection of small and medium-sized pictures hung close to each other in order to create one larger, vibrant composition. 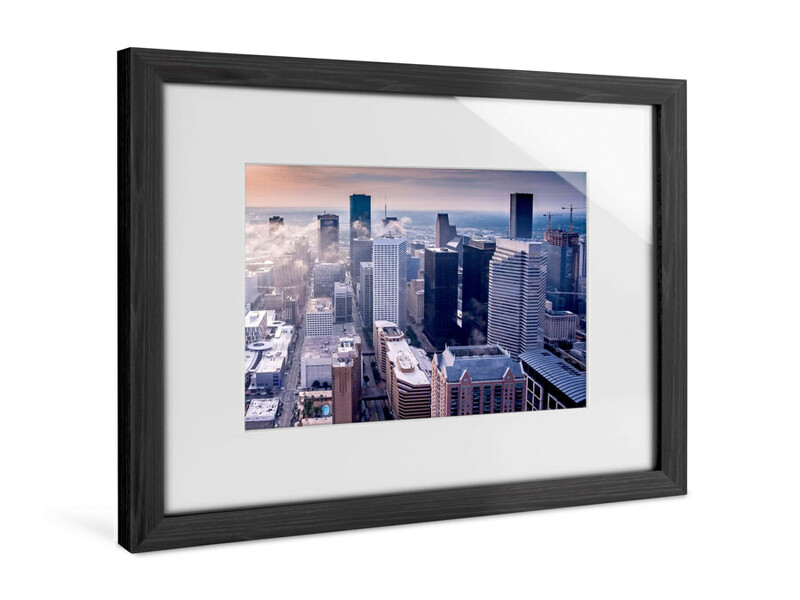 WhiteWall delivers your passe-partout frame ready-to-hang. 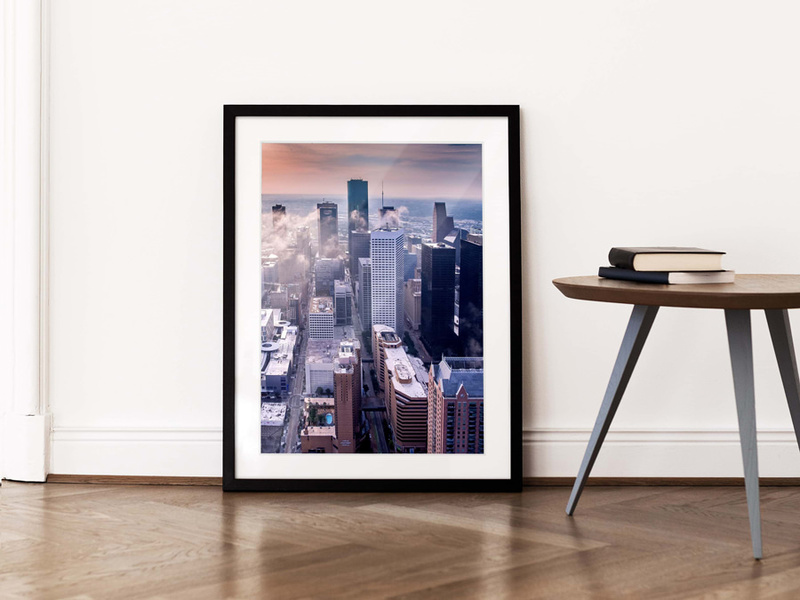 You can add it to your collection as soon as you remove its secure packaging, thanks to pre-mounted, metallic hanging elements integrated into the frame. Framing a picture is not always easy, and anyone who was ever attempted to bevel-cut their own window mat can attest to this fact. Fortunately, we take care of all the difficult parts with custom frames for your favorite photos. Our promise to you: your frame and passe-partout mat are precisely made in the perfect size for your picture. Commemorate your masterpieces the same way major artists do – with the frame they deserve, produced by the perfectionists at WhiteWall. Take a look at our wide range of models and try out all the possibilities! You can even have photo mats in Shadow Box Frames. The Shadow Box Frames from WhiteWall really give your photo the character of a piece being presented at an exhibition. We set your photo in a 2 3/8 inch-deep frame, keeping some distance between the glass and your picture. The Shadow Box Frame is available in different colors: Oak Black, Maple Brown, and Maple White. Because this type of frame is so striking, you can use it to draw more attention to smaller pieces, making them into art objects that continue to pleasantly draw attention for a long time. While pictures in Shadow Box Frames are bit costlier, they are made to the highest standards and it shows. This makes Shadow Box Frames a really precious gift – one for cherished memories and special people.